Update Wednesday hit like a ton of bricks, this week. It didn't help that it also happened to land on tax day in the United States. Not only were there new versions for about a dozen apps from Google, but a couple of new ones joined the mix. Yet again, Drive and its associated document editing apps are gracing the Teardown stage with even more new improvements on the horizon. This time, we see that Drive is getting a chip-based interface for adding collaborators, Slides will allow for presentations over Hangouts, all of the editors are going to have stylized templates, and there might even be a Secret Next-Gen UI on the way (but probably not). Google's suite of productivity apps is highly regarded for its incredible collaborative features and portability. However, if you're looking for flexibility and options to customize them, you're going to be left disappointed. Both Docs and Sheets are stark, white pages with relatively few settings for appearance and formatting. Slides does offer some basic layouts, and there are a set of simple themes (exclusively in the web interface), but Docs and Sheets are virtually locked into a single look. 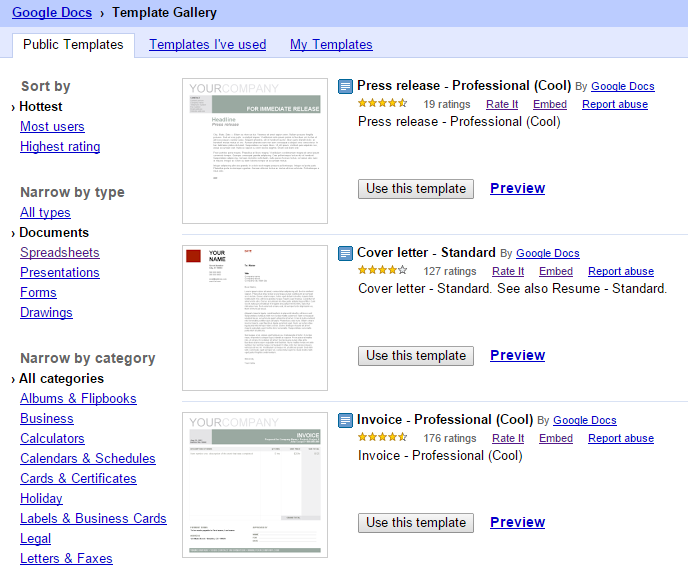 It turns out templates are already around on the web interface for all of Google's document types. To get to them, open a document (new or existing) and go to File -> New -> From Template, or hit this link. This is an abnormally well-hidden feature. Outside of knowing the link, there doesn't appear to be any way to access templates without already having a document open, and I doubt there are many people hitting File -> New once a document is already open. Thanks, NM. A set of new strings and layouts indicate Google is working on some form of templates for Docs, Sheets, and Slides. Of course, the term 'template' is a bit vague – it may suggest something along the lines of visual themes with a focus on different colors, fonts, and border images, or it may point to more functional elements like pre-configured layouts. All three of the editor apps share a common set of strings and layouts which are used by a single screen called TemplatePickerActivity. Each app also has its own set of distinct categories for its different types of templates. Since there aren't usually a lot of styling options for spreadsheets, it's probably safe to say that the presence of templates in the Sheets app is a good indicator that there will be functional templates. At the same time, categories for things like Stationary and Wedding would at least suggest these will also support theming. There aren't any templates included in the APK at this time, so there's not much else to go on. It's also not clear if the templates will be built into the apps in a future release or stored online and downloaded when they are needed. Back in February, we saw that Cast support would appear in Slides at some point, adding a convenient way to quickly set up a presentation anywhere with a TV and a Chromecast. But sometimes, it's just not possible to get everybody together in one room. Google is going to make remote meetings a little easier soon by integrating Hangouts directly into Slides. There's not much in the way of new code, yet, but a handful of strings and a few new layouts leave little to the imagination. It's not clear if it will be possible to initiate a slideshow with a Hangout that's already in progress, or if the Hangout has to be started for that purpose. For now, there's no sign of picture-in-picture or toggling between views, so Slides will probably replace the camera feed for the duration of the presentation. Otherwise, everything else should work like a normal Hangout. This one hardly deserves a spot, but it's very straight-forward. There is an option to show or hide speaker notes buried under a menu in the slide editor view. Naturally, this is something a lot of speakers might want faster access to, and it looks like they're going to get a more accessible button to toggle speaker notes. That's all this is, a toggle. I'm not sure why it wasn't already added to the interface, because that seems to be the last thing left to finish this change. I would expect this to show up in the next release. The Drive app is about to receive a slightly overdue refresh to the interface for link sharing and adding collaborators. 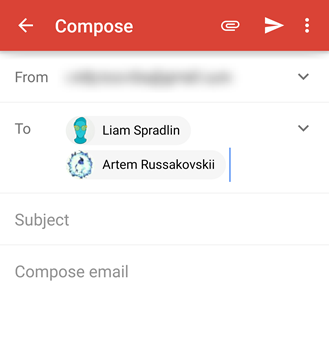 When Google introduced the Material Design guidelines last year at Google I/O, one of the finer details in the document called for presenting contacts in a new "Chip" style – basically just a name and photo constructed as a single UI element. 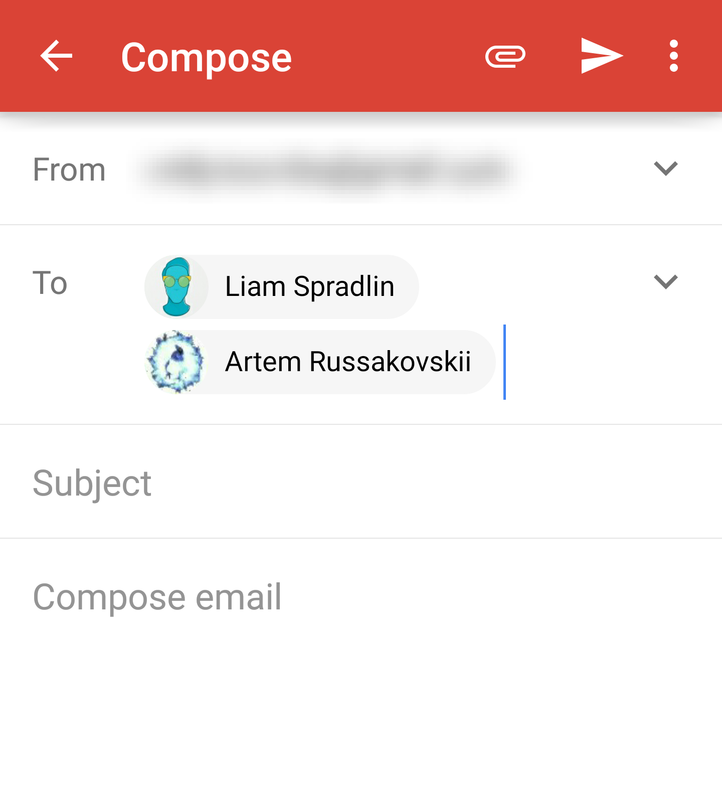 Some apps, like Gmail, have been using this design for a while. Drive may have gone through a Material refresh fairly early in its life, but it never adopted Chips. But thanks to some new layouts, it's pretty obvious contact chips are right around the corner. So far, these resources only appear in the Drive app. Given the way these apps tend to evolve, it's likely that Chips will be integrated into Drive to begin with, then transferred to the editors shortly thereafter. 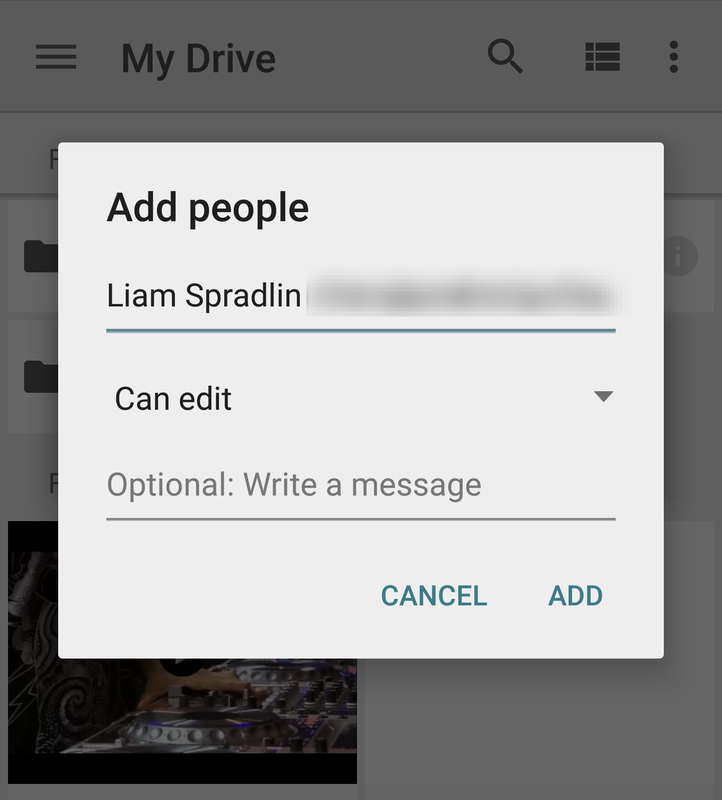 The Drive app happens to contain one more adorable little gem named search_enable_secret_nextgen_ui. 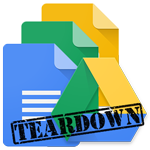 Seriously, Google... Everybody knows we do these teardowns. This is either an attempt to leak something for the world to see, or the digital embodiment of painting the words "Treasure Room" over an unguarded wooden door. It's clearly a trigger that is meant to be typed into the search field to activate an alternate interface, and I have tried it, but nothing seems to happen. There is code to handle this special trigger, but it's not possible to clearly identify what it's supposed to do. This "feature" is either not yet functional, or it's just a prank. I encourage others to try entering this search phrase and some variations of it, but I suspect somebody at Google just added it for a laugh.